No, not that kind of whip, but rather that very British and democratic method of ensuring that one of the party does not always end up buying all the rounds, or in this case, all the drinks, meals, snacks, sundry train or bus fares, and any other miscellaneous costs. It’s quite simple: everyone contributes to The Whip, usually around twenty pounds each; and it is then used for all expenses until it runs out; at which point another twenty pounds is thrown in by each person, and so on. The money is placed, medieval-style, in a black velvet drawstring bag (I don’t ask), and everyone must take a turn, in other words, responsibility, for carrying it. I have mixed feelings about The Whip, as I sip at my little ‘half’, and watch the boys order their second pint; but reason that since I may make up for it by the evening – a much more natural tippling time for a wine drinker – that it may all even out in the end. Andy has taken over as ‘Grand Poobah’ from Rod, who held this title by not previously missing a single walk, but due to personal circumstances, has had to cancel for the first time. Late, and in possession of the train tickets, Andy, with typical insouciance eventually saunters into view giving us just minutes to dash for the First Great Western. I had hoped for the Cornish Riviera Express, or at least something from Thomas the Tank Engine, but our train is disappointingly modern. We are headed to the far west of Cornwall, and little then did I know what an impression this journey would have on me for years to come. The suburbs and industrial hangers on the outskirts of London are swiftly left behind and before long we are hurtling through England’s green and pleasant vales of chalk white horses and mysterious burial mounds. The fields are bathed in glorious May sunshine, and the railway banks soon give way to beautiful yellow gorse; so close to the train that you could reach out and touch… much as I was used to instinctively touching the head of a small child. I inadvertently startle now and then, as though I have forgotten something. I am so used to always looking out for a little one, it is instinctive to keep checking, checking…but the guys are doing a fine job of distracting. Luckily, we have managed to book two adjoining table-seats in the centre of the carriage, and they are carefully and methodically arranging what looks like a small Roman feast. There is fresh bread, fruit, cheese and wine; olives, stuffed dates, pates and cooked meats… Jim has brought a pre-made flagon of some cocktail or other and is busy cutting fresh limes. 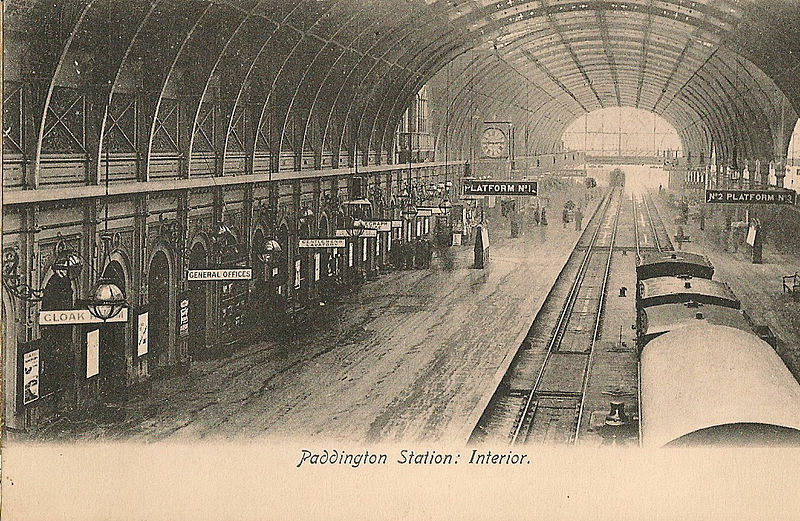 Other passengers eye us with envy as they stumble back from the buffet car with malodorous burgers and Styrofoam-clad coffee. Any efforts at nonchalance soon give way to unrestrained grins of excitement as the dual intoxicating effects of wine and the hot sun on our heads relax us, and I am regaled (as is the entire carriage I suspect) with hilarious stories of past walks… but these are tales for another time. Past Exmouth and it’s The Brunel Show all the way, as the train swings along the very edge of the English Channel for a brief but sensational sea-front ride. Cutting through the cliffs and along the sea wall, before lurching inland again towards Newton Abbot, The South Devon Railway was opened in 1846 and originally intended as an ‘atmospheric’ railway. But in less than a year the gauge was converted and it became part of the Great Western railway. Ever at risk from a breach of the sea or a land-slip (not to mention an errant wave) it may be something of an expensive folly, but I love Brunel’s imagination and audacity in building, against logistical reason or regard for maintenance, a line that enthralls. At least, that is, to those of us still stirred by that first childish glimpse of the sea. I have travelled this way many times now and am still befuddled at the number of passengers who pay no attention to this treat; who do not have their noses pressed to the window, but sit ensconced in technological absorption or enshrouding broadsheet, willing the long journey over. To me, the five and a half-hour train ride to west Cornwall has become an important, integral part of my visits. And not just because I like trains, and people watching, and bucolic views; time traversed is a reminder of entering another country, another world. As if to emphasise this ritual, the train slows to a stately crawl as it passes over that other wonder of Brunel engineering, the Royal Albert Bridge. Naturally this is entirely to do with safety, and not to give those of us who care time to reflect on the River Tamar, dotted with tiny boats far below, and almost, but for three miles, separating Cornwall from England. Yet, in my fanciful mind there is something ceremonial in this passage, a respectful recognition of transition, a feeling compounded when there is just enough time to read the sign at Saltash on the western side of the river before the train picks up speed again: ‘Kernow a’gas dynnergh’. Welcome to Cornwall. White horses give way to crumbling abandoned engine houses, those relics of the Cornish tin mining industry, and in time we arrive in St Erth, where we are due to change for the branch line to St Ives. St Erth is a very pretty brick-built station with a tea room, that has somehow managed to resist alteration since its 1877 construction, and already I know I’m in another place as a gentle summer breeze sways palm trees and unfamiliar early summer flowers. The St Ives branch line is a single track upon which the train carriages run the four miles back and forth to St Ives, and there is not long to wait for the next one. But no; there is, apparently time for a quick sprint to the nearby Lamb and Flag. Once again I cunningly hide my desire to preach sense, and go with the flow; fie thee prudence, I cast my fate to the wind! But the wine is taking its toll and my rucksack feels very heavy on my shoulders as I struggle to keep up the pace, which is presumably set at ‘beer’ mode. It does not bode well for the walk ahead. Half an hour later, on the branch line train and lulled into a happy drowsiness, we roll past the Hayle estuary mudflats, home to many rare bird species. But as the river-mouth opens to the sea and the expanse of Porth Kidney Sands and the long stretch of beach to Gwithian and Godrevy lighthouse, we are startled to our feet again at the carriage window, silently captivated by the sublime beauty. This is one of the most beautiful train journeys in the country, but too quickly it passes by Hawkes point and Carbis Bay via clifftop and viaduct, before settling at journey’s end, overlooking Porthminster Beach at St Ives. This is the journey of a bygone age, reminiscent of beach huts, Betjemen and sand in the sandwiches. 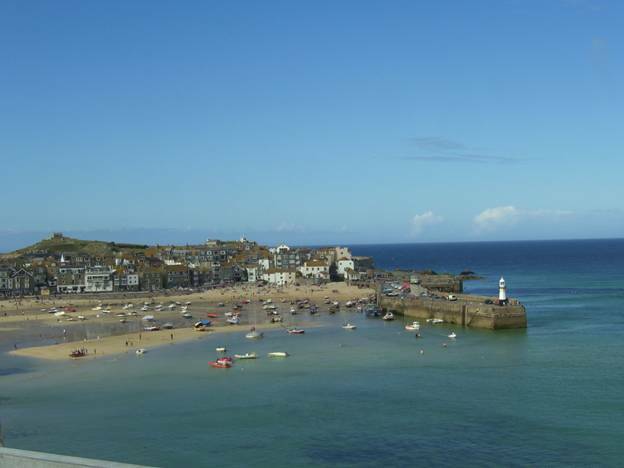 And then there is the first view of St Ives itself. No wonder the early railway posters advertised it as The Cornish Riviera. Later, at a harbour-front restaurant, the journey, or rather the alcohol consumption takes it toll, and I cannot eat the scrumptious mushroom fettucine or drink the delicious Viognier. All the weeks of preparation, the miles of hill-walking and becoming fit and hydrated for the walk ahead have been undone in a single day, and I dread the sixteen miles of steep cliffs that lie ahead in the morning. But as I bid goodnight to the guys and make my way back along the deserted wharf to my room, heady with the sea air, the black ocean beats more insistently against the harbour wall, and I know there is a connection with this place that will not easily be broken. 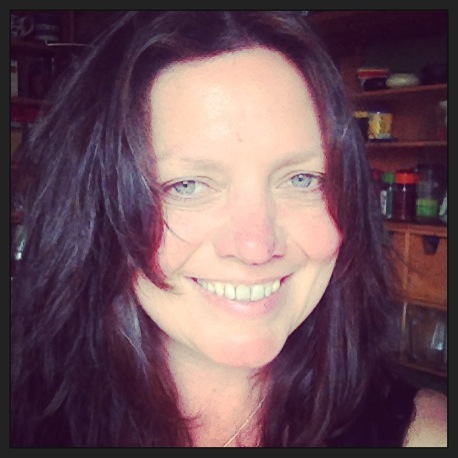 One of the great pleasures of ‘writing’ is afternoons spent idly surfing the internet… I mean research… research! I’ve blogged before about how going off on a tangent often leads to little gems which I cannot resist incorporating into my writing, if only as a passing reference. A few years ago I came across the Skewjack Surf Village. 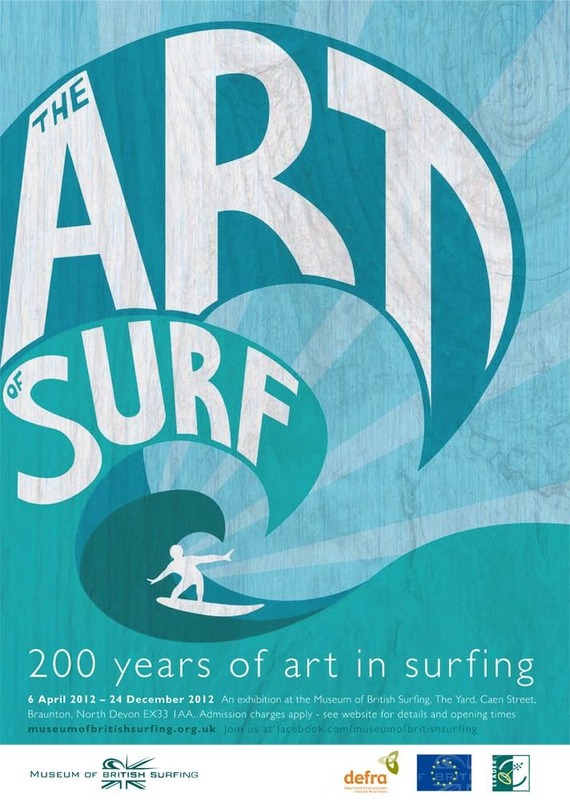 I can’t remember exactly how, but it may very well have been via an interview with founding member Chris Tyler on Alex Wade’s Surf Nation blog from 2008 (which you can read here); either way it stuck in my imagination. Skewjack was created in the early seventies, the concept of a collection of individuals, including Chris Tyler and Chris South. Although somewhat inevitably coming to an end in the mid-eighties, it remains Britain’s only ever surf ‘village’. Based in the far south west of Cornwall, near Porthcurno, it was a community of chalets, bistro, swimming pool and bar; and offered surf lessons at nearby Sennen beach; ferrying holidaymakers there and back in a converted ambulance named ‘Amy’. Coupled with what can only be described as wild partying in the on-site disco in the evenings, Skewjack was a one-off. I incorporate the legend of Skewjack, a small tribute, if you will, into my current novel/work in progress, but that said, I cannot help feeling that its story would make a fun novel in itself (perhaps I’ll write it one day? ), or even better, an amusing film on the fledgling and very idiosyncratic British surfing scene. 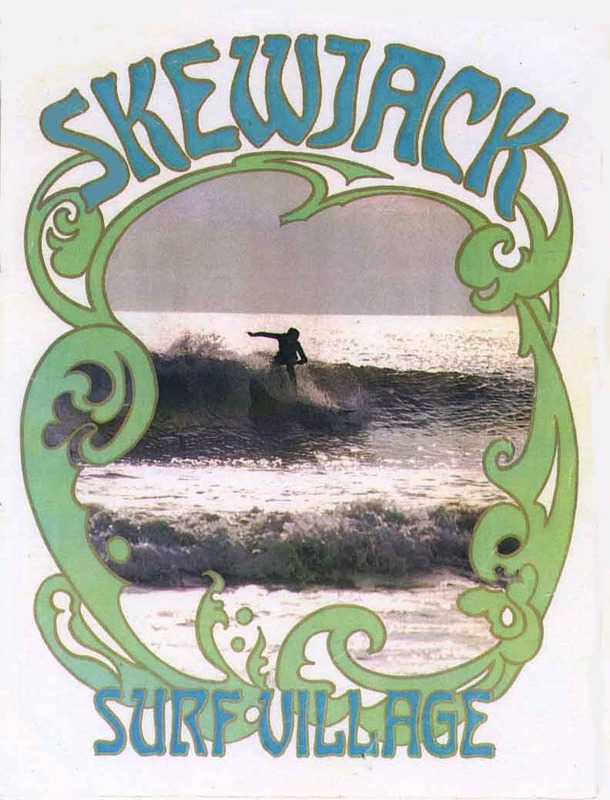 But what really strikes me is that Skewjack serves as a reminder of how straitjacketed and puritanical our society has become: partying aside, the village was a rare cultural hub for enthusiasts at a time when surfing was still relatively counter-culture. Sadly, I suspect that fusty attitudes and increasing curbs on freedom made by those shackles Health and Safety mean that (whilst there will still be surf schools) we will never see the like of Skewjack again. It surely deserves its place in British surfing history.